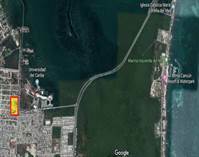 Playa del Carmen condos for sale start from $150,000 with an average sales price for a nice 2 Bedroom condo 1 block from the beach starting from $300,000. The larger and closer to beach, the higher the price. 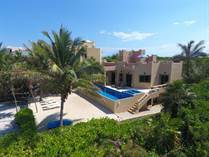 Playa del Carmen Homes homes for sale are mostly located in the gated community of Playacar starting at appoximately $350,000 for a Villa and can homes in Phase 1 start at $1,000,000. "Jewel of the Crown in Aldea Thai"
"Reduced Beach Front Home From $895,000!" "Affordable 2 Bdr unit Downtown Playa!" "Only $2,150 USD/sqrmeter Compare to new buildings!" The most affordable 2bdr condo downton!